Lysine acetylation is an important posttranslational modification (PTM) that regulates the function of proteins by affecting their localization, stability, binding, and enzymatic activity. Aberrant acetylation patterns have been observed in numerous diseases, most notably cancer, which has spurred the development of potential therapeutics that target acetylation pathways. 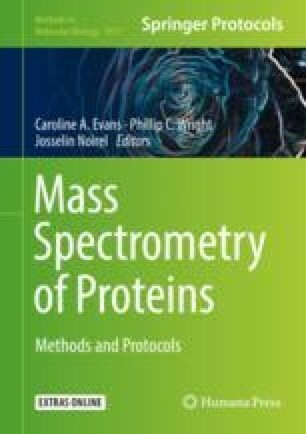 Mass spectrometry (MS) has become the most adopted tool not only for the qualitative identification of acetylation sites but also for their large-scale quantification. By using heavy isotope labeling in cell culture combined with MS, it is now possible to accurately quantify newly synthesized acetyl groups and other PTMs, allowing differentiation between dynamically regulated and steady-state modifications. Here, we describe MS-based protocols to identify acetylation sites and quantify acetylation rates on both proteins in general and in the special case of histones. In the experimental approach for the former, 13C-glucose and D3-acetate are used to metabolically label protein acetylation in cells with stable isotopes, thus allowing isotope incorporation to be tracked over time. After protein extraction and digestion, acetylated peptides are enriched via immunoprecipitation and then analyzed by MS. For histones, a similar metabolic labeling approach is performed, followed by acid extraction, derivatization with propionic anhydride, and trypsin digestion prior to MS analysis. The procedures presented may be adapted to investigate acetylation dynamics in a broad range of experimental contexts, including different cell types and stimulation conditions. Funding support from NIH grants 2T32CA009140-41A1, R01GM110174, R01AI118891, P01CA196539, and T32 GM071399 is gratefully acknowledged.